Alice is a pro long distance triathlete with designs on winning one of the big ones, one day. Often found at the front of the swim pack, she is confident that working closely with Coach Hywel will take her to that next level. 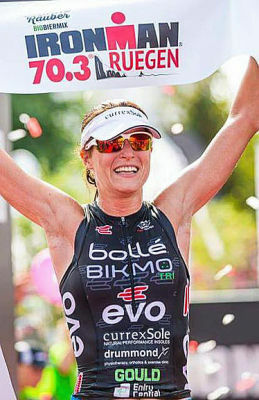 She has stood on the podium in pro 70.3 and full Ironman events, and was World AG triathlon champion in 2013. Her favourite thing is running distances further than she can drive, but has had to stop this until age puts an end to pro triathlon. Alice enjoys doing well and collecting well dones. She also gives them away to worthy causes.